Turkey's national post and telegraph corporation is preparing to begin deliveries by unmanned aerial vehicles, dubbed as drones, within next year. 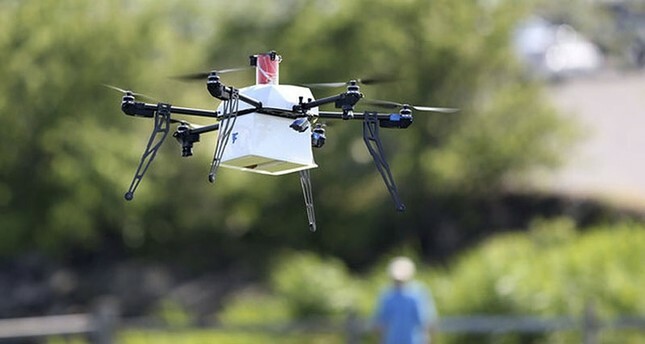 Speaking at the International e-Commerce Conference in the southern Antalya province, Kenan Bozgeyik, board chairman of the Post and Telegraph Organization (PTT), said Wednesday that they are currently working with Turkish engineers and universities to begin drone deliveries in 2018. Noting that Turkey already has domestically-developed drone technology, Bozgeyik said while it is not realistic to expect all posts will immediately switch to drone delivery, there are plans to carry out deliveries with PTT's own drones, with implementation differing from region to region. Bozgeyik said drone deliveries will initially be used in areas with suitable geographic conditions, with attention given to the package type and transportation challenges in target areas. "Let's say if a fast delivery is needed from Istanbul to Princes' Islands, if the quality of the cargo is suitable, we will carry it [by drone]. If you think about the traffic in Istanbul, there is no doubt that we will be able to reach a target point in a half-hour where you can't get to in two hours," Bozgeyik said. Bozgeyik said the conference, which was organized by PTT and the Ministry of Transportation, Maritime and Communication, was a great honor for Turkey as ministers and postal organization executives from around the world attended the conference to discuss and think up strategies for e-commerce payment systems, postal issues and logistics. Emphasizing the importance of the conference both in terms of diplomacy and economy, Bozgeyik said that five cooperation agreements were signed with other countries, with 16 other contracts to begin implementation. He added that during the conference, PTT was able to present its own e-commerce platform and Turkey Card payment system, which was developed by PTT's largest customers, Turkey's GSM operators and banks.